The contest kicked off through YouTube, Facebook and Twitter on October 3rd, 2011. 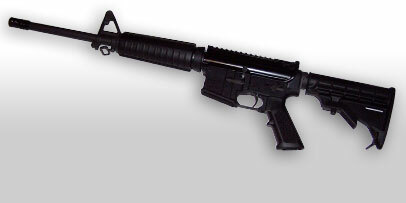 The contest calls on all fans to submit a video response featuring their gun with an MGI Buffer with D-Ring installed. 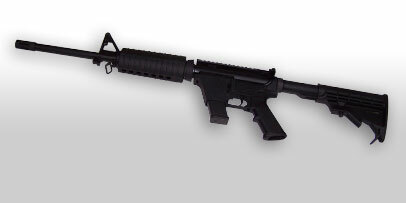 One lucky winner will receive an MGI Hydra Rifle with a retail value of $1,250. The contest closes December 31st, 2011 at 11:59 pm EST. It is open to all responsible adults over 18 years of age who are legal residents of the 50 United States that have purchased an MGI Rate and Recoil Reducing Buffer. Have you checked out the MGI Hydra Modular System? This is a modular weapon system designed with the end-user in mind. MGI uses standard barrels which allow the user to change calibers without tools in less than 90 seconds. Yep – that’s less than two minutes! The base is the MARCK 15 5.56, also known as the “Hydra.” It is ready to fire out of the box. 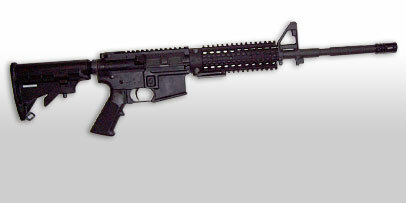 The system includes the lower receiver with a 5.56mm magazine-well, a QCB-C upper receiver and a 16-inch barrel. 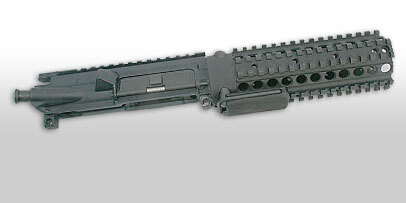 With this base system you can then purchase various magazine wels and caliber conversions. 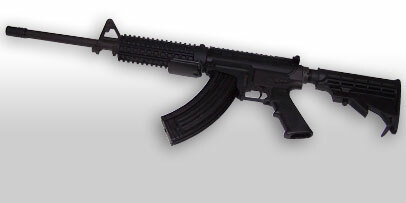 Simply change the barrel in seconds and utilize the correct magazine for the caliber you desire. I think this might be one of the most versatile rifle platforms. Currently you can fire 7 plus calibers including .22 rimfire, .223 or 5.56, 6.5 grendel, 6.8 spc, .450 thumper, .458 socom, and .50 beowolf. You know I have GLOCKs. I can use my GLOCK 21 Magazines in the .45 LE Hybrid model. The magazines fit right into the carbine straight from my pistol. I can’t wait to hit the range and try one of these guns. If you have tried one already, let me know how you like it. Brownells and Midway are distributors if you are looking to check prices. Several models have a MSRP less than $1000. As the price drops – well – these systems look more and more desirable. MGI has a video about this new system and you can check out the video here. This entry was posted in Contests, Gun Reviews and tagged best carbine, Best custom ar, Carducci Tactical, Custom AR, Custom Rifles, hydra weapon systems, MGI AR, mgi carbine, MGI Hydra Weapon System. Bookmark the permalink.